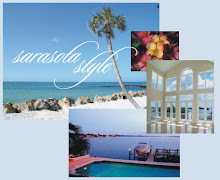 Buyers of Gulf-front properties in Sarasota, FL often seek a luxury condominium on Longboat Key. The beautiful 11 mile island is positioned between the Gulf of Mexico and Sarasota Bay. Famous St. Armands Circle and downtown Sarasota are both a nearby. Sarasota is known for its pristine beaches and even more for its cultural venues: an opera, a ballet, a symphony and the John and Mable Ringling Museum of Art. Buyers of Longboat Key condos begin their search on the beaches of Longboat Key. The beach offers residents and visitors a relaxed lifestyle, water activities, shelling as well as fishing from the shoreline. Many condos on Longboat Key are right on the beach providing easy morning walks in the sand as well as numerous amenities which buyers seek in today’s condo market. Sanctuary – Four Gulf front buildings comprise this beachfront condominium on Longboat Key. Amenities include two Har-Tru tennis courts, a lap pool, swimming pool, Clubhouse and more. This condo complex is also behind the gates of the Longboat Key Club. L'Ambiance – Behind the gates of the Longboat Key Club, gated, two Gulf front buildings with resort amenities including swimming pool and tennis courts and even more. Positano – Luxurious spacious residences on the northern end of Longboat Key. Clubhouse, fitness center and swimming pool. Residents enjoy a very private pristine beach at Positano. Villa di Lancia – Residents enjoy wonderfully landscaped tropical grounds at Villa di Lancia. The amenities include a 24 hr guarded gate, on-site manager, fitness center and much more. This elegantly designed complex is pet friendly too. There are many other options available. Visit our comprehensive website for a complete listing of all Longboat Key Florida real estate. For all your Longboat Key condo needs, contact the John Allen Team at 941-644-6467. Our team experienced agents show Longboat Key properties regularly and are here to help guide you to a smooth closing at L'Ambiance, Positano, Sanctuary or Villa di Lancia. Become a Longboat Key real estate owner and love your life at the Beach!